A Digbeth contemporary art gallery is celebrating its fifth anniversary with a £122,000 grant to secure its future for another two years. 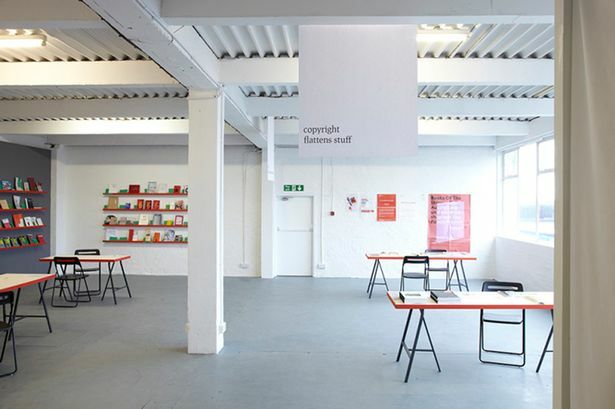 Grand Union has played a key part in the regeneration of Digbeth as Birmingham’s creative quarter with an exhibition space and studios for emerging artists. The milestone comes as Arts Council England has confirmed a £122,800 investment in the gallery, which will secure its future until 2017. Over the last five years Grand Union has shown 28 exhibitions, worked with over 200 artists and commissioned the same number of new artworks. The gallery has welcomed 10,000 visitors, who have seen shows such as And The Heavens Cried, a retrospective of the artist Bob Parks which was named by Frieze magazine as a highlight of 2013. Cheryl Jones, director of Grand Union, said: “It is hard to believe we have reached this milestone. “Grand Union grew from very little – we spent our weekends scrubbing floors and walls to make a gallery suitable for the public to visit. “Now, thanks to the Arts Council’s generous investment, we are thinking about the next five years and how we can build on our success to develop more great exhibitions and opportunities for artists and audiences. Ms Jones also founded the Birmingham Art Map with Ruth Claxton, associate director at nearby Eastside Projects.